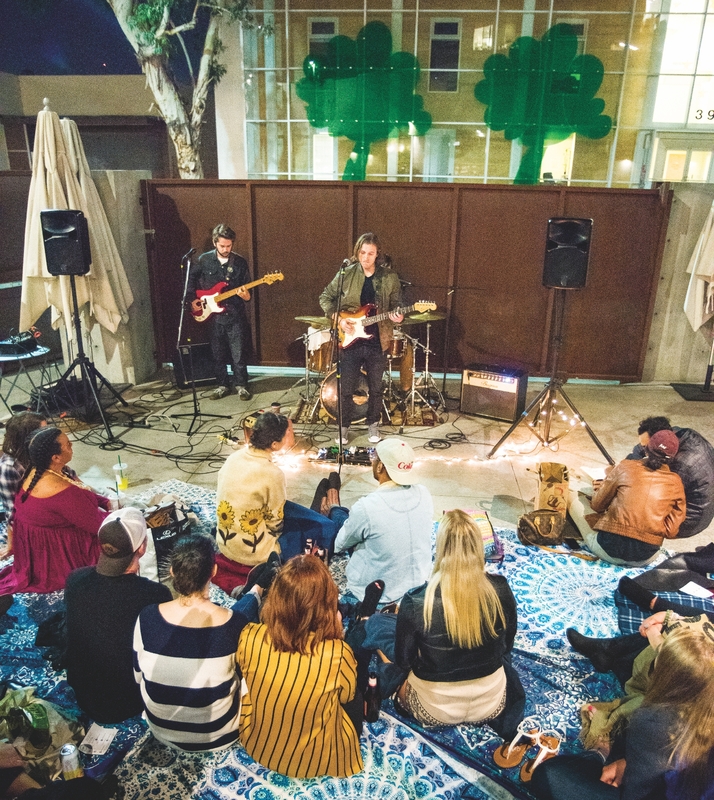 Once a fairly simple beast, the music scene in L.A. these days is like so many other things in this microcosm we call home: staggering in its variety. For our annual Best of L.A. photo blowout, we wanted to take a core sample of that variety, so we called on a team of photographers and sent them out to capture performers and onlookers doing their thing. We didn’t know what they’d find; really, we just hoped to see L.A. in all its glory. 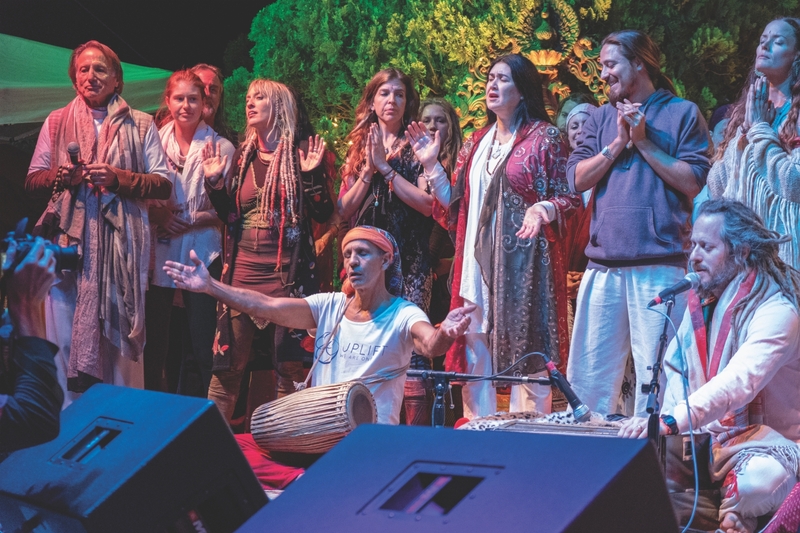 They came back with a collage of styles and cultures and traditions stretching from spiritual Sikh hymns to spiraling punk to spicy Cuban dance music, with stops along the way at norteño classical, and beyond. 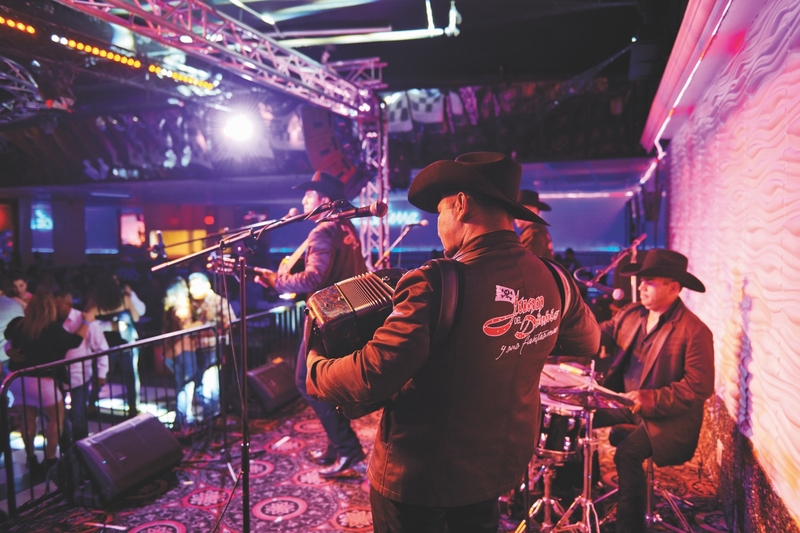 Juan Del Diablo y Sus Fantasmas are regulars at La Sierra, a restaurant and nightclub in Panorama City that sees more than 500 patrons on weekends. “We play the hard-core norteño,” says vocalist and guitarist Juan Flores (left), whose band performs originals and covers on request. “We give the people what they want.” Fans can now get something else they’ve wanted: Juan Del Diablo just released its first album. Bhupinder singh Rangila leads a group of musicians who played earlier this summer at local gurdwara Hollywood Sikh Temple. 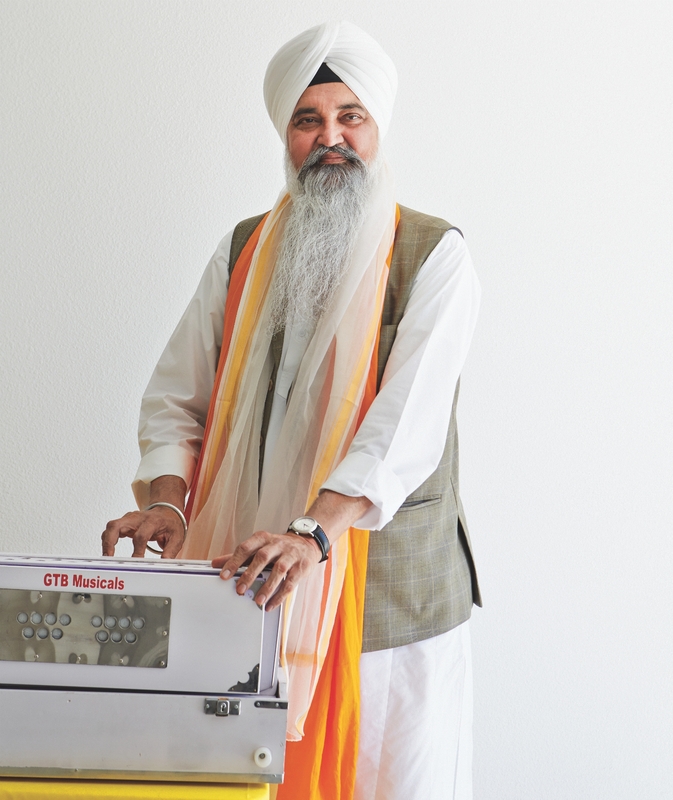 Based in Chandigarh, India, he plays the harmonium, a pump organ, and specializes in kirtan, a music that is considered devotional, spiritual, and transformative. “I send a message about Sikhism through my kirtan, which I have performed all over the world in various gurdwaras,” says Bhupinder singh. Rehearsing Ravel’s Bolero with the rest of the Inner City Youth Orchestra of Los Angeles, (from left) Solomon Leonard, Jabari Williams, and Hannah Innis prepare for the annual performance at Walt Disney Concert Hall. 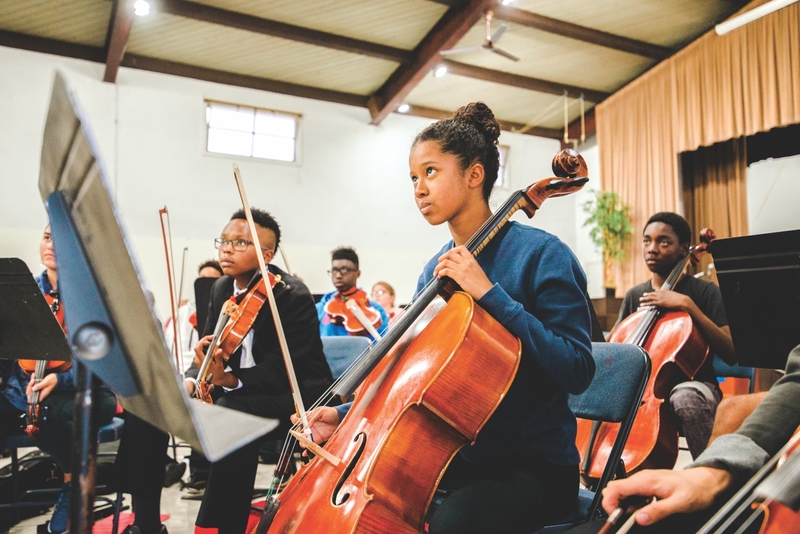 Executive director and conductor Charles Dickerson founded the orchestra in 2009, accepting students “regardless of ability to play or pay,” and he’s held fast to his commitment to teach pieces in all of their unsimplified complexity. Dancers (from left) Margarita Chumak, Adrian Elizondo, Assieh Sabet (stage name: Assieh La Mora), and Paco Vera put on a show at Silver Lake’s El Cid. 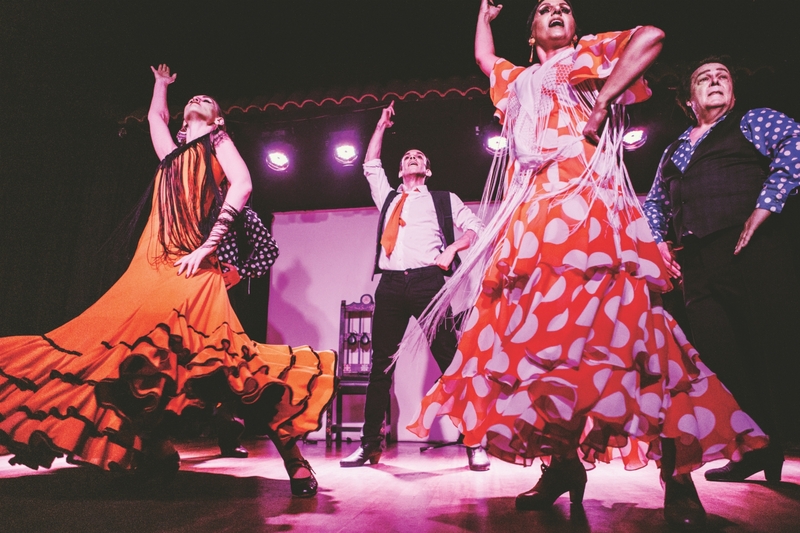 Opened in 1962, the restaurant hosts flamenco dinner theater every Saturday night, showcasing the traditional Spanish art form in which the music follows the dancers. “It’s hard to put into words, but when I saw for the first time a flamenco performance—the guitar and singing and dancing, it became magical to me,” says Sabet. 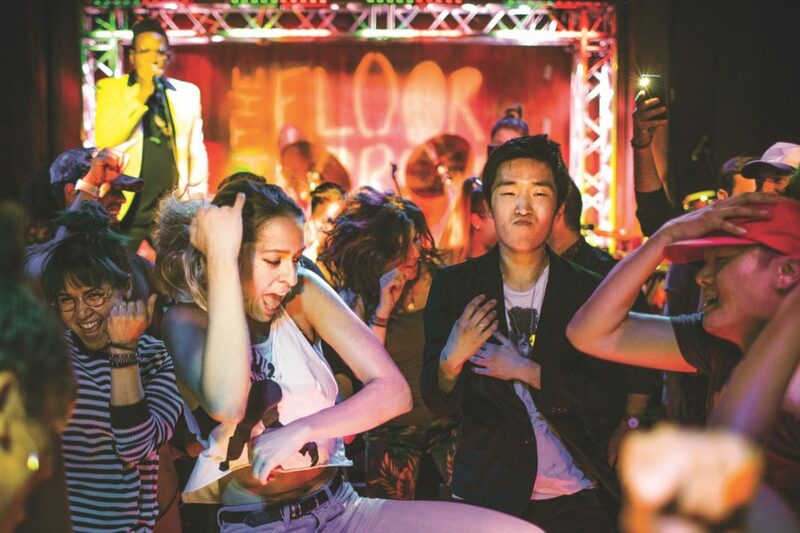 “Dancers give us energy by bringing the music we create to life. 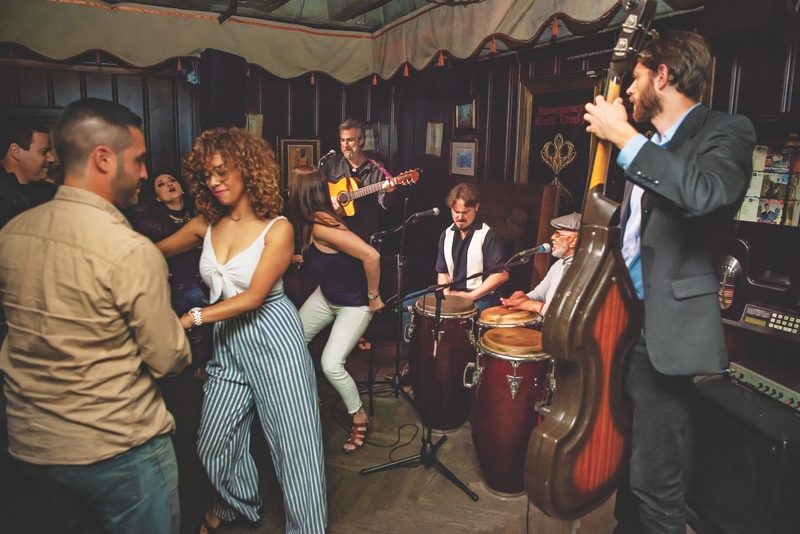 They’re our greatest motivation when we play,” says Bobby Wilmore (center), a percussionist for the band SitaraSon, seen here at the Caña Rum Bar in downtown L.A. On congas, the Havana-born Lázaro Galarraga has played for most of his 75 years. Over the past 27 years, Jersey-born and Minnesota-bred Tex Troester has played more than 900 shows in Los Angeles with the Groovy Rednecks. 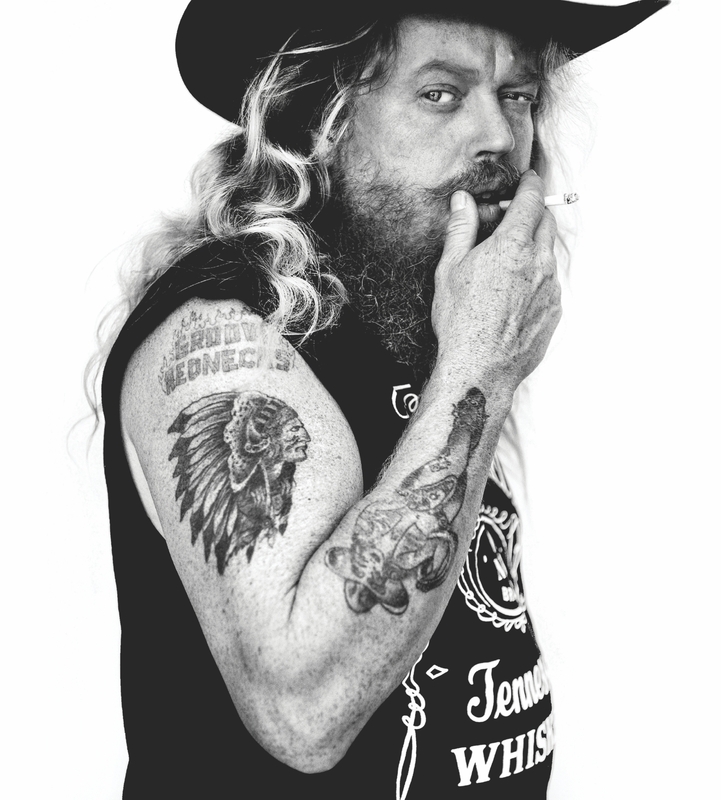 “We’re more classic country—not the crap you hear on the radio nowadays,” he says. When he’s not fronting the band, Troester is a delivery driver for Project Angel Food, which provides free meals for those who are too sick to shop or cook for themselves. Birmingham, Alabama, native Stefan Crane (center) moved to L.A. in 2016. 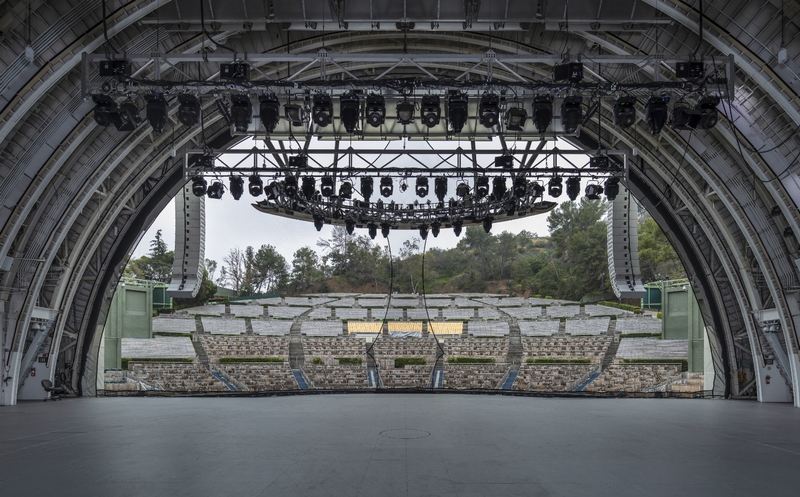 “Of course L.A. is the pop music center of the world, but it’s so easy to take a left turn into a soul-expanding jazz night or a raging punk show,” he says. 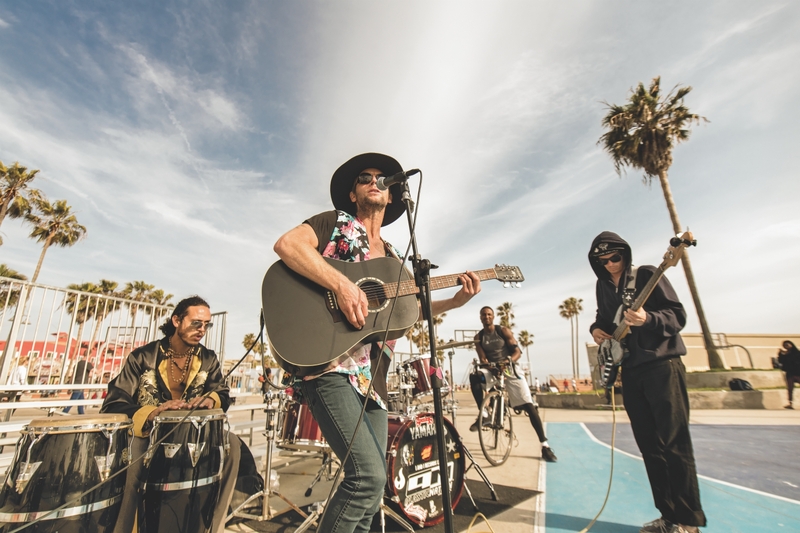 At this set, Crane and his band perform in Culver City for Sofar Sounds, which puts on “secret” shows at unexpected venues around the region. Lil John Dantzler (pictured) and Hazel Brooks are regulars at Bell’s Blues Workshop. 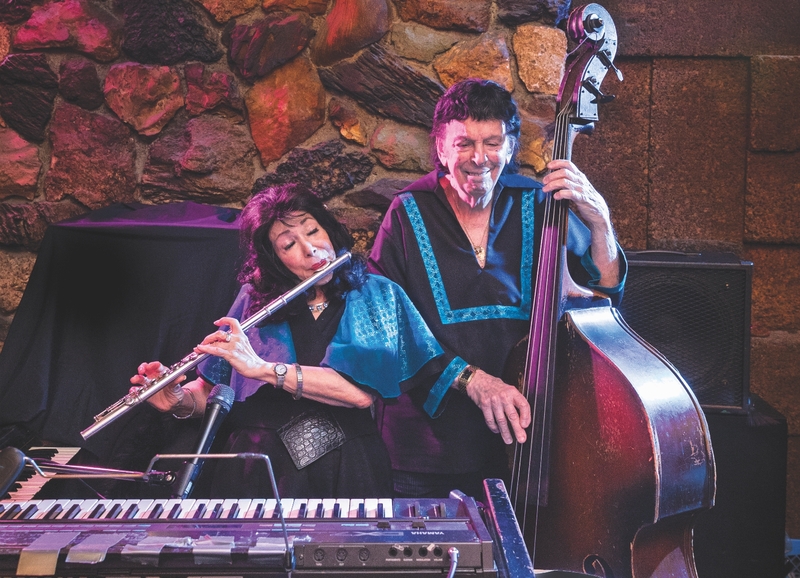 An Alabama expat, Franklin Bell moved to L.A. in the ’60s and, decades in, began hosting friends in his converted garage in South L.A. for Sunday jam sessions. “It don’t take no big crowd,” says Bell. 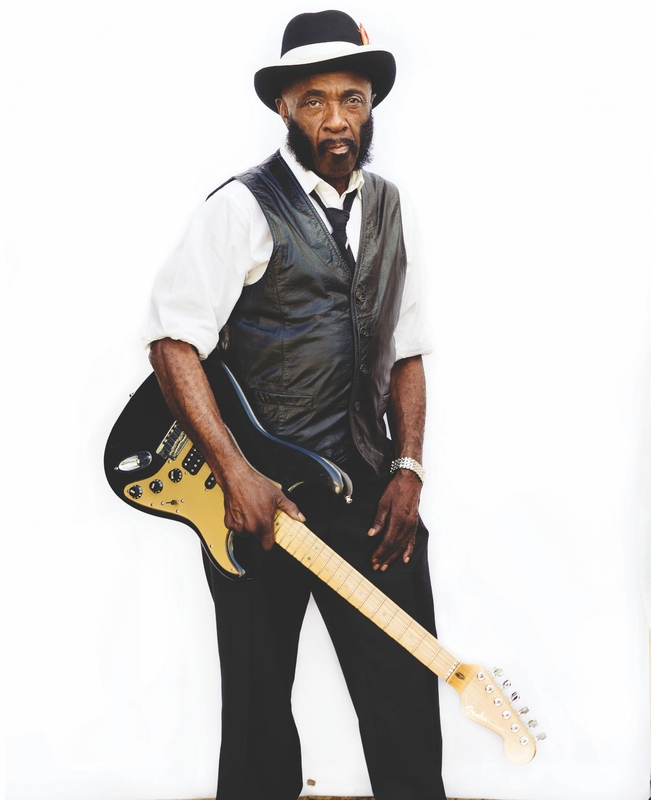 “It takes a few people that you can get together, and if they can get some joy and they can spread that as they go through life, it makes a difference.” House band guitarist Dantzler has been playing clubs since he was a boy in Mississippi. Brooks is married to the band’s drummer. “It’s a party place where everybody’s nice,” she says of the Workshop. For more than five decades Santa Monica stalwart McCabe’s Guitar Shop has been hosting musical acts in its back room, including Billy Bragg, PJ Harvey, Beck, and hundreds of others. 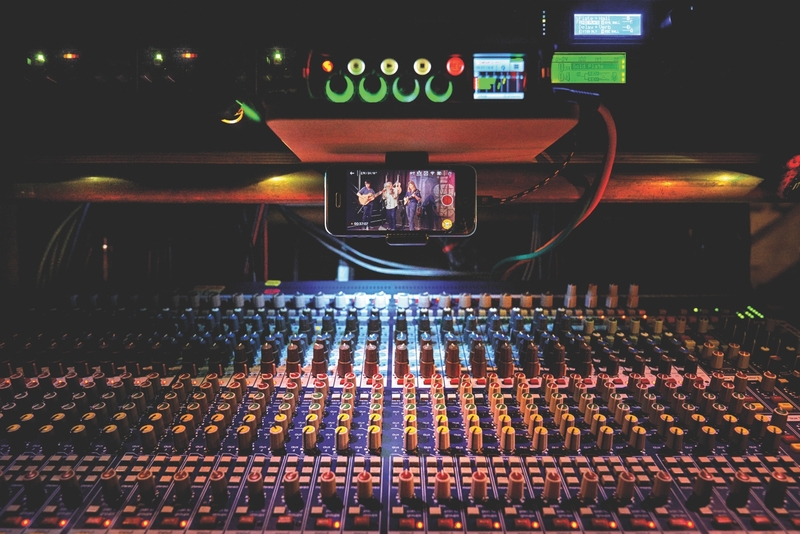 Photographer Art Streiber caught the Molsky’s Mountain Drifters, seen here in the smartphone monitor of the mixing board. 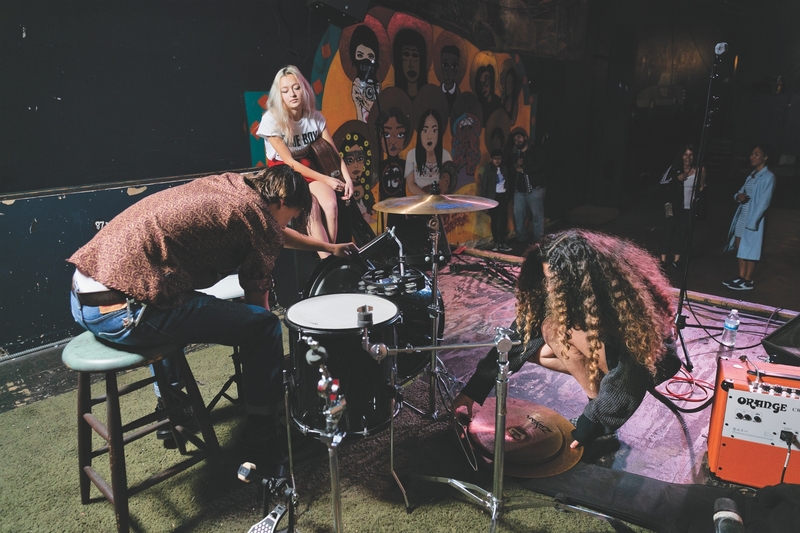 David Diaz (left), Marcus Clayton, and Chris Page (on drums) met when they were tutoring at Los Angeles City College’s English Writing Center, so when they decided to form a band, the name was easy: Tudors. “We haven’t found our specific ‘scene’ per se, and we like that,” says Clayton, who goes by Henry de Ayth. 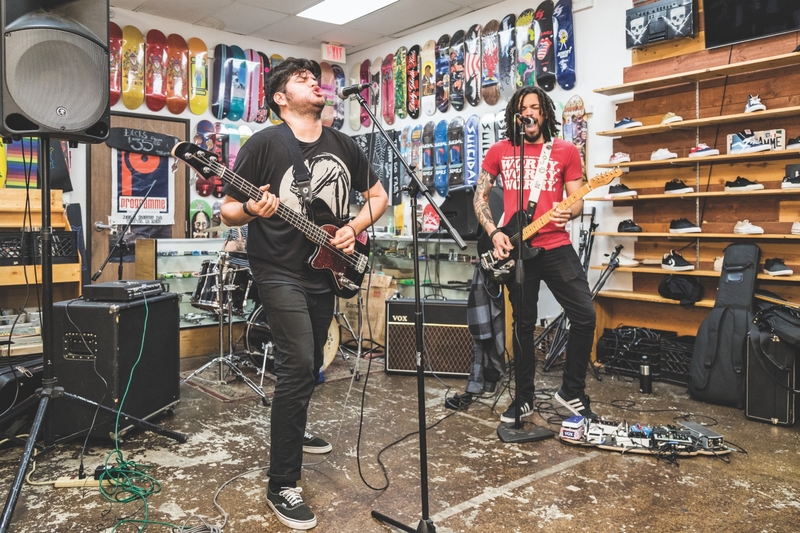 Here, the Long Beach-based trio plays at Fullerton’s Programme Skate & Sound.